When Notre Dame offers a kid from New Jersey power Bergen Catholic, it’s a good bet that kid is going to take a serious look at the Irish. 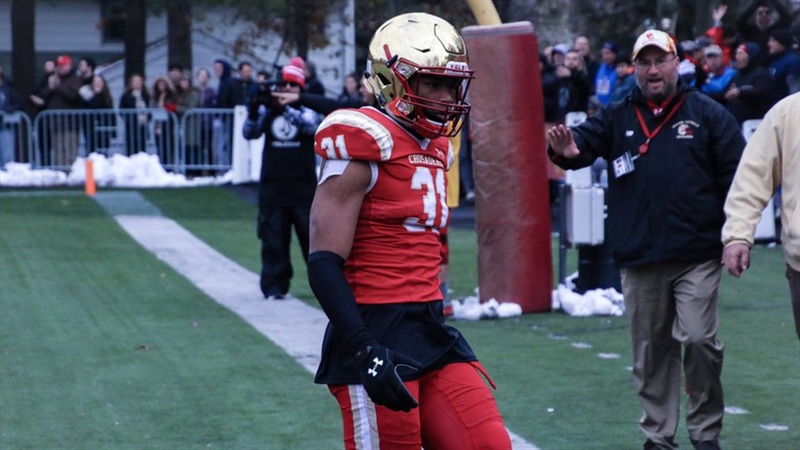 Notre Dame recently extended an offer to 2020 Bergen Catholic defensive back Jordan Morant‍, who head coach Vito Campanile says is a good one. The 6-foot, 197-pound junior is being recruited as a cornerback and safety. Notre Dame recruited 2019 Bergen Catholic defender Aeneas DiCosmo‍, who signed with Stanford. Campanile says Morant has done “a solid job” in the locker room and classroom. Morant also has offers from schools like Alabama, Ohio State, Michigan, LSU, Nebraska, Florida, Stanford, Penn State, Oklahoma, Wisconsin, Tennessee and USC among several others, but the Notre Dame offer had him excited. Morant told Irish Sports Daily he’s hoping to get to South Bend for a visit this spring. “It’s one of those places what I call life-changer schools,” said Campanile. “You’d be crazy not to look at that in a different light than just any other offer.